Event professionals have shared their views on how a £15bn bid to improve transport links in the North of England, which was outlined today, could help the UK events industry. The transport plans will improve road and rail connections between Leeds, Liverpool, Manchester, Newcastle and Sheffield, including a 125mph inter-city rail link and better access to the city’s ports and airports. "Travel times will begin to fall within the clients’ parameters," said Eamonn Hamilton, managing director at Leeds-based agency CMM. "The north is keen to attract more events and if transport links improve then there will be more interest in doing events in the region." However, Leigh Nelson, head of logistics, WRG Creative, believed that if the North becomes more accessible it will need to prepare itself to deal with a larger clientele: "It will be essential for venues in the north to review their offering to ensure they are ready to compete on a global stage. "Iconic venues make for unforgettable events and the north has so many to choose between. However, travel time and international access to some of these for some delegate groups may simply have been prohibitive in the past." Katie Mather, client services director, The Fresh Group, said the £15bn plans will help elevate the region to new levels: "We deliver a lot of events in the north west, but there are lots of companies who haven’t done events in the region so anything that can attract them would be great. 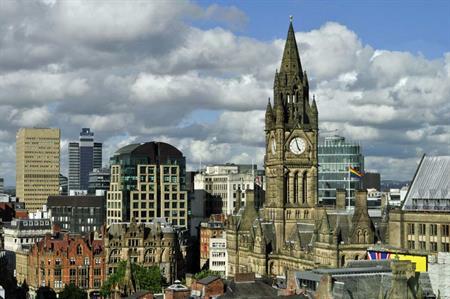 "The Fresh Group are proud of what Manchester can offer already, but any improvements to connectivity and the PR that will surround this new project will be great for helping to promote the region." William Sutton, commercial director, Logistik, added: "In terms of logistics and delegate movement, this sort of investment will prove especially valuable. "Some clients choose London by virtue of its fantastic transport infrastructure, but this could be a real opportunity for Northern venues to host a greater proportion of new events for big brands."